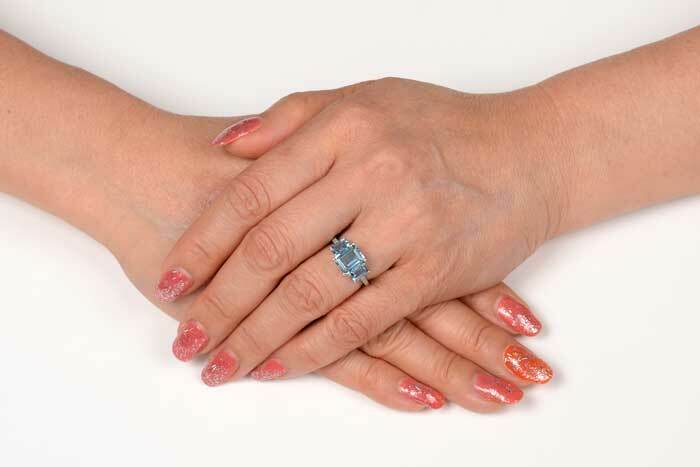 A three stone aquamarine engagement ring that centers a lively 1.86 carat step-cut aquamarine gemstone. 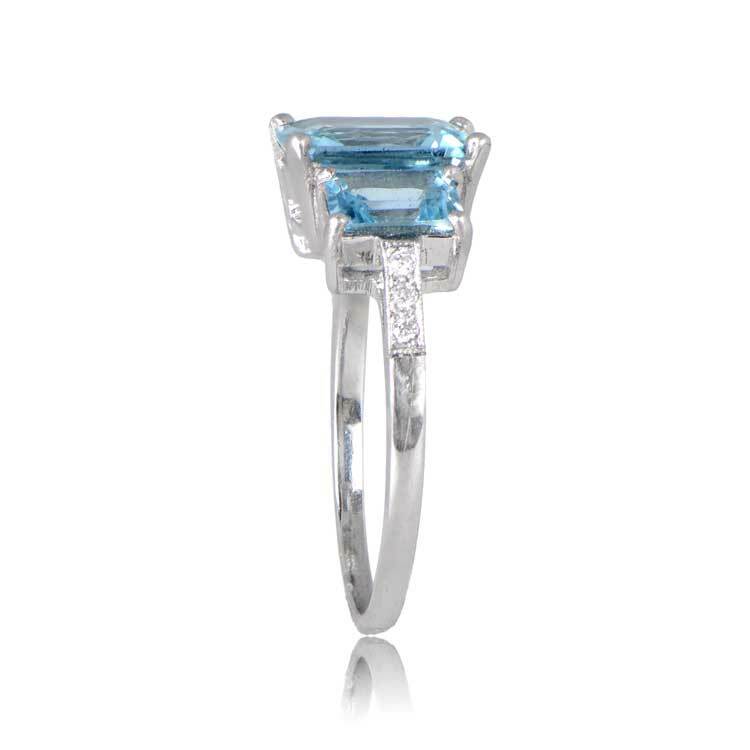 The two step-cut side aquamarines have a total weight of 1.05 carats. The three aquamarines have a beautiful teal saturation and the colors match perfectly. Along each shoulder is three diamonds. This ring is hand-crafted in platinum. 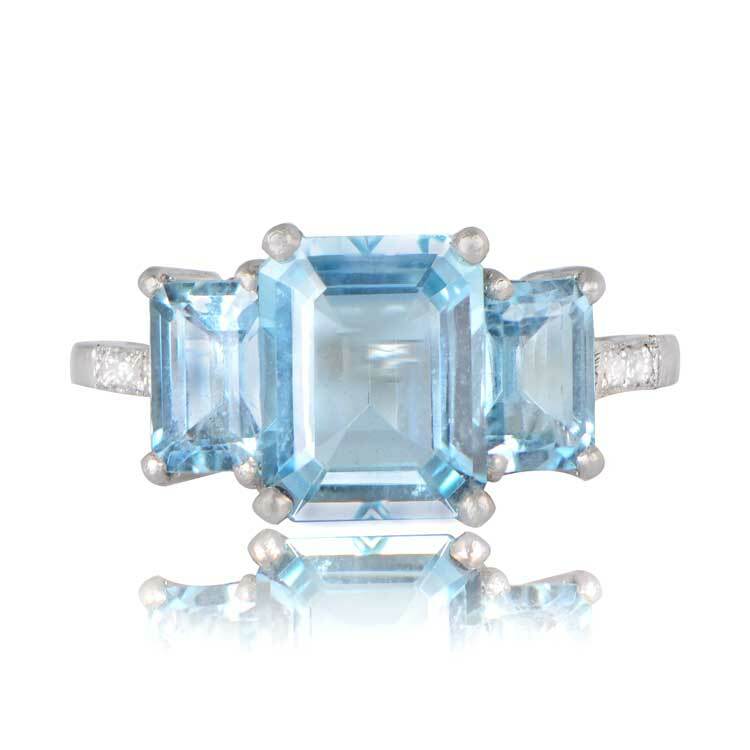 The measurements of the center aquamarine is 8.90mm x 7.15mm. The measurements of the two side aquamarine is 6mm x 4.5mm. 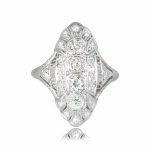 This ring can be resized to any size at no extra. 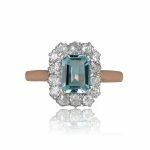 SKU: 12015 Categories: Aquamarine Engagement Rings, Vintage Engagement Rings - Contact us and request additional pictures.